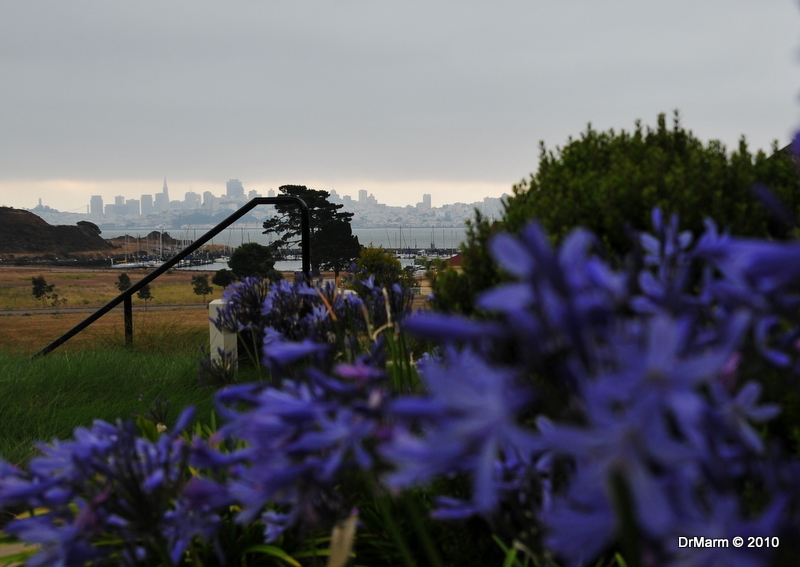 Have had the pleasure to share photos from my July trip to the Bay Area, just not yet where we stayed. 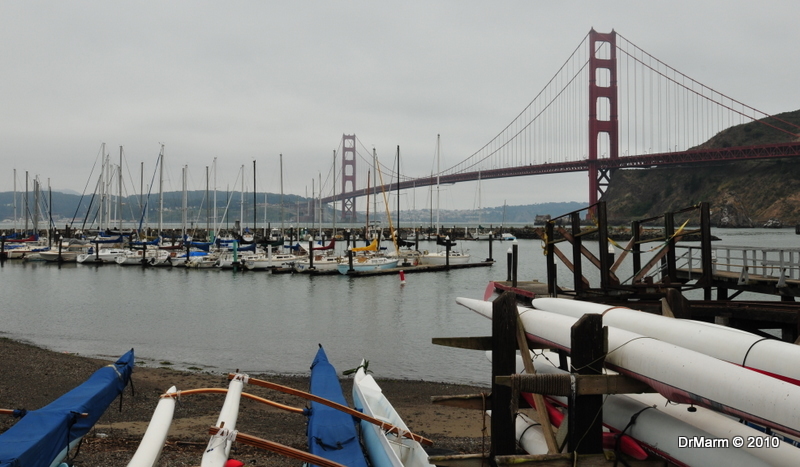 Not far from the Marin County town of Sausalito is an Army base, Fort Baker. 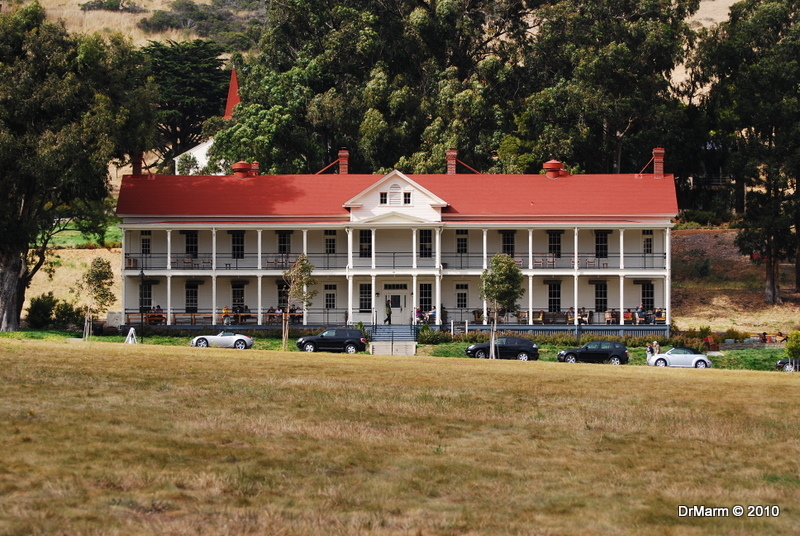 The army base has a new name… Cavallo Point–the Lodge at Golden Gate. 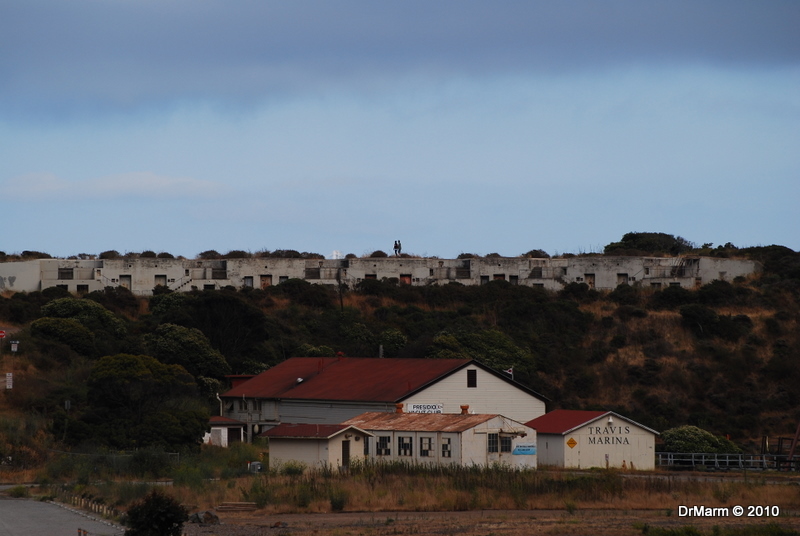 Fort Baker lies at the Northern passage of The Golden Gate Bridge and is surrounded by the Marin Headlands. A lovely setting to visit and photograph. 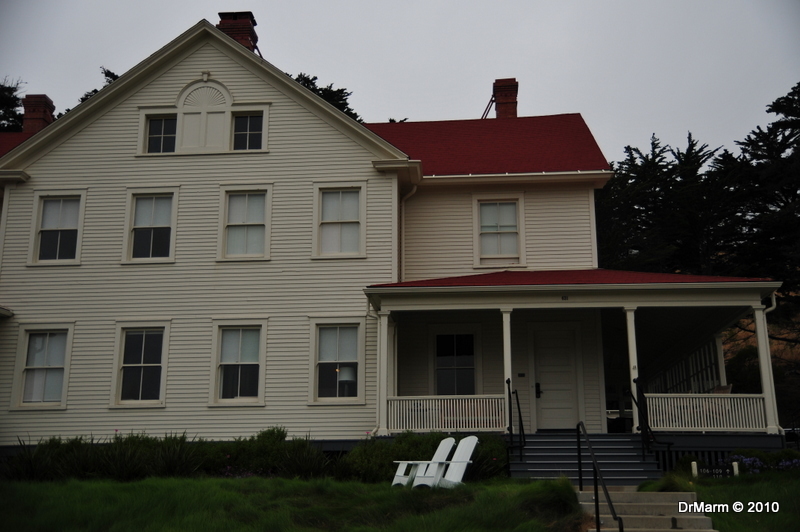 The previous Officer quarters have been divided into rooms and can house a number of people under the same roof. Each room is independent and has own bathroom. (Important amenity for me, I must admit!) The common areas include covered porch with lovely sitting areas throughout the entire facility. 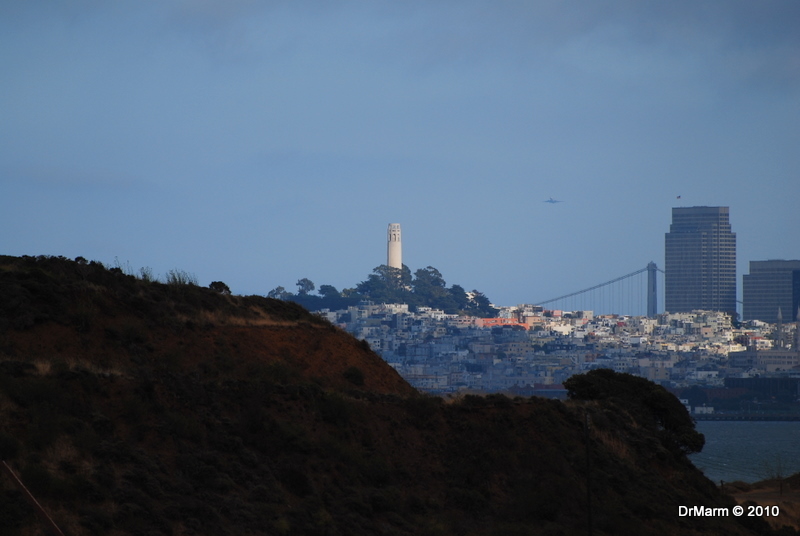 In addition to being housed near the Golden Gate Bridge, another fabulous vantage point is the view of San Francisco. We visited late July and got to enjoy the summer fog. Even though–the view from our porch was breath-taking! To be quite honest, the majority of these photos were taken from right in front of the house where the room was. 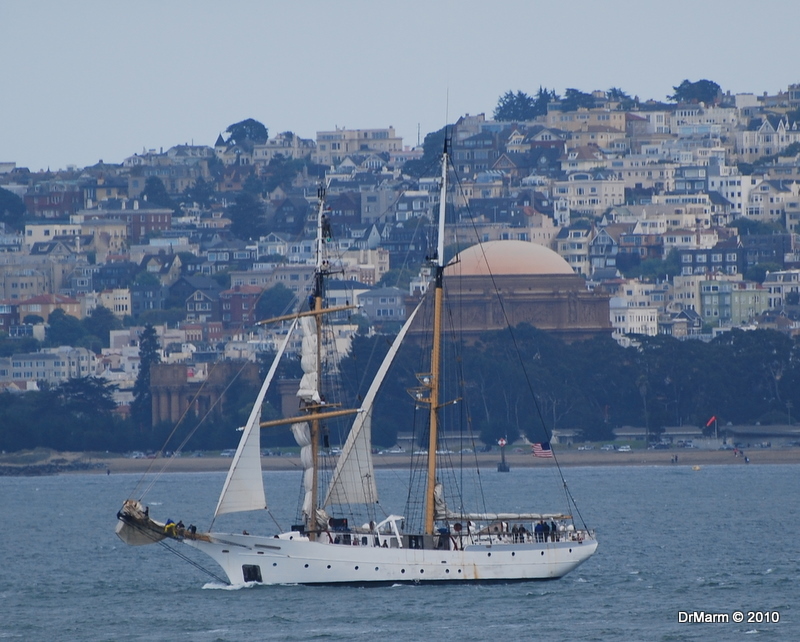 Spent the day touring Alcatraz and visiting Pier 39 and Fisherman’s Wharf–not much energy to carry more gear around. Fortunately–there was much to see and enjoy without going far! 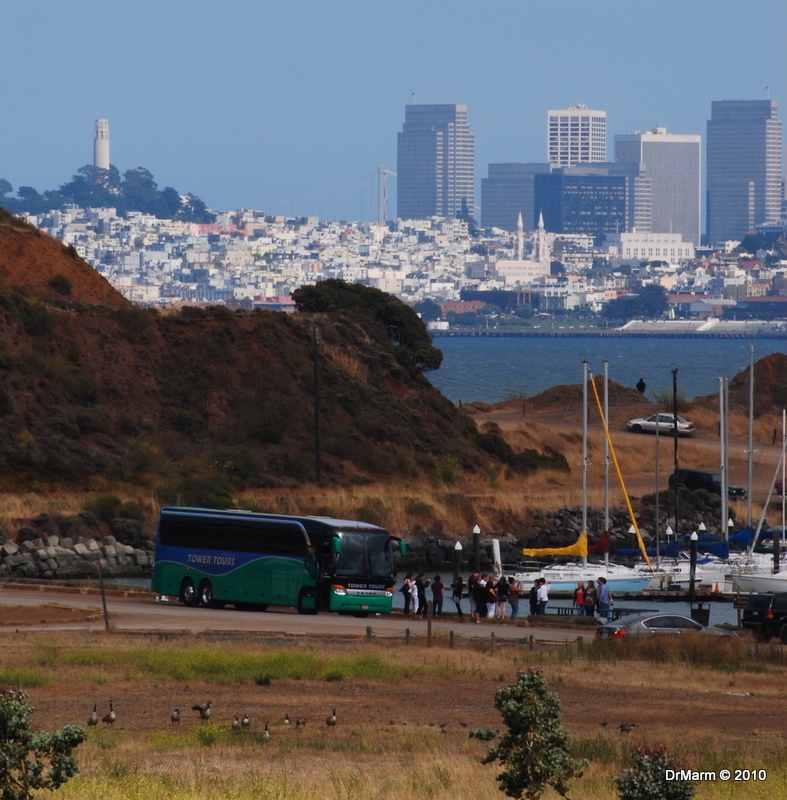 Think you know you are in a good spot when you see tour buses arriving to take in the view of The City and the Golden Gate Bridge…do love the line of geese on the field below the row of tour bus riders! This is one of the views from where the buses kept coming in–had to investigate! The main lodge has a spa, restaurant and additional housing. 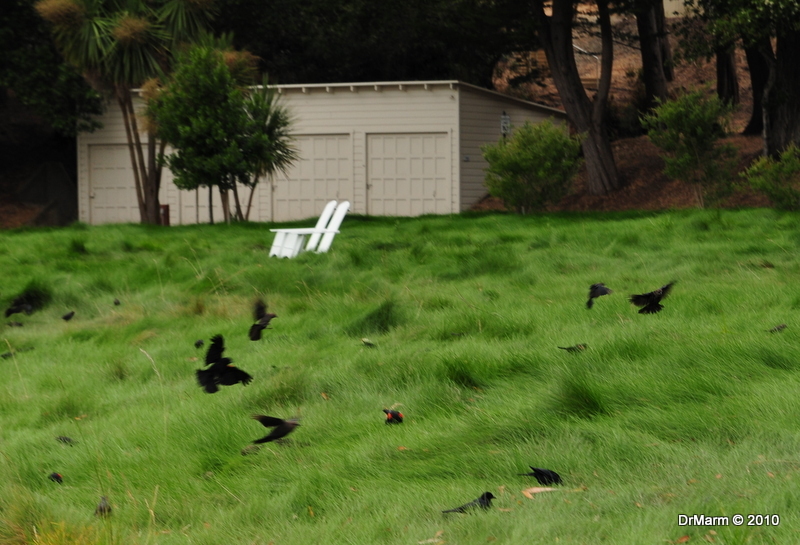 With the vast field in the center of the fort–there were many animals that visited–we saw deer, geese, squirrels–but the most abundant and determined where these Blackbirds. 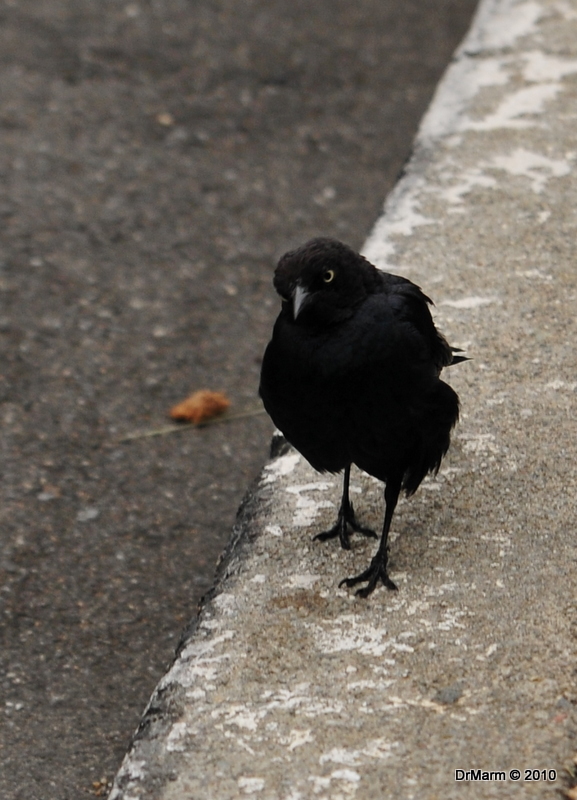 One that was not shy and finally let me get close! This area is so rich in history. We met a gentleman visiting his former base and also a member of the Golden Gate National Parks Conservancy. 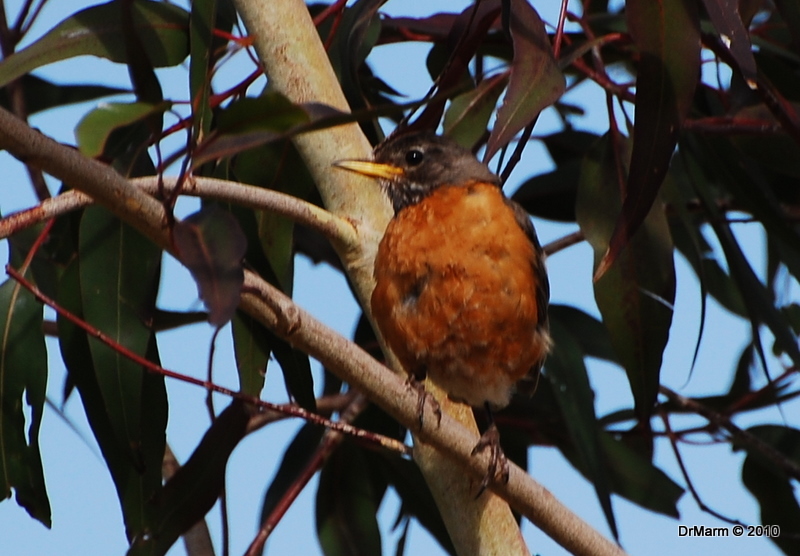 He shared stories about being stationed here in the 1970’s and also his passion for the natural area surrounding Fort Baker–The Marin Headlands. Can understand his interest and return trips to this area–I long to go back and take advantage of the beauty and park lands, preferably when there is sunshine! 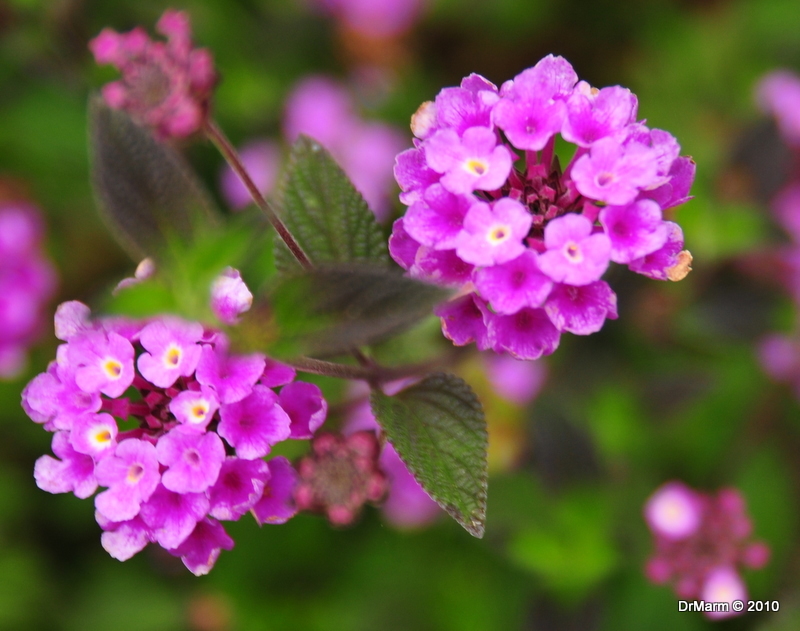 This entry was posted on September 18, 2010 by DrMarm. It was filed under Uncategorized . A Great post!! Super pics!! That is so cool. I had no idea Ft. Baker had been so converted. I’m so glad you shared your photos. Wonderful! 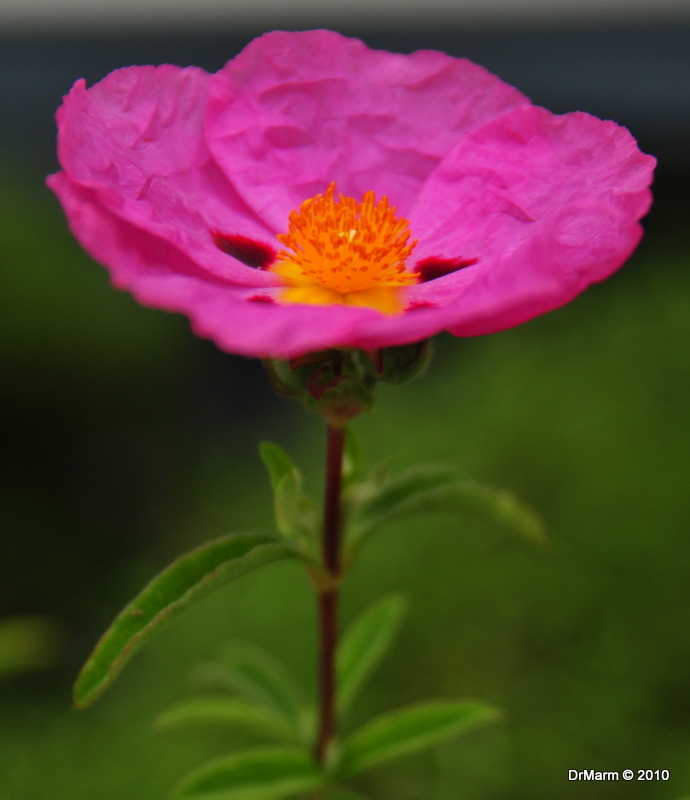 I loved the shot of the pink flower. It looks like crumpled paper! What a neat place to visit-such good views-thanks for sharing it! Once again, fabulous photos! I always learn something from reading your wonderful blog. The evening images are especially lovely. You really should take photographs and write for travel brochures.